Sedania Innovator Bhd, a mobile services enabler, is scheduled to be listed in ACE Market of Bursa Malaysia on 29th June 2015. The Initial Public Offering (IPO) consists of 51.467 million new ordinary shares at an IPO price of RM0.38 per share at RM0.10 par value. 41.467 million will be for private placement & selected investors, 9 million shares to the Malaysian public and 1 million shares for eligible directors & employees of Sedania Innovator Berhad. The IPO will raise about RM19.557 million in proceeds. Out of this, RM4 million will be use for capital expenditure, RM4 million for marketing expenses, RM2.5 million for R&D expenses, RM6.757 million for working capital & the remaining RM2.2 million is for listing expenses. 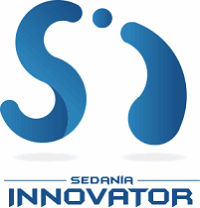 Sedania Innovator has a strong track record since 2004. The company partnered a mobile network operator (MNO) to provide ancillary mobile services to its subscribers, Airtime Sharing (ATS) solutions. ATS allows mobile subscribers to request and transfer airtime credits to other prepaid mobile subscribers within the same network. Currently, ATS is available to subscribers of Celcom Axiata Bhd (Celcom) and Maxis Bhd (Maxis) in Malaysia, as well as Robi Axiata Limited in Bangladesh. ATS platform has proven to be highly robust and scalable, facilitating up to 400,000 transactions daily at its peak. This has allowed the company to successfully expand internationally. More information regarding the company can be found in Sedania Innovator webpage. For the time being, Sedania Innovator does not have any fixed dividend policy. The table below is the financial summary for Sedania Innovator Bhd. Kenanga Investment Bank is the sole principal adviser, underwriter & placement agent of the IPO. For those who are interested in Sedania Innovator IPO, you may subscribe at ATM machines or via Internet Banking. The subscription period is opened until 18th June 2015 at 5pm. Tentative balloting date is on 22nd June while the allotment date is on 25th June 2015. Sedania Innovator stock name in Bursa Malaysia is “SEDANIA”. View Sedania Innovator prospectus in Bursa Malaysia webpage. What do you think about Sedania Innovator IPO? Are you going to subscribe?